This summer, I’m going to blog about the blessed moments I enjoy week by week.It often feels like summer just flys on by and I often wonder where the time went and whether I experienced all that I wanted to experience while there. This summer I have eight blessed weeks to spend with my husband, my boys, my friends, and my family. Those eight weeks have to charge me up for Fall before I can get recharged during winter break for round two in the spring. I want to savor every blessed moment. What’s a better way than blogging about it, right?So my summer kind of started this last weekend because I did have to report to work on Monday, but was allowed to use that time how I wanted and so I used it to organize my classroom for the Fall (something I usually do at the end of my summer break, but still during break.) So this first week of Summer’s blessed moments will start the weekend of June 8/9. Friday, June 7th- Sunday, June 9th: Drove up to Big Bear with my hubby and two of our sons (Kanan stayed with his dad for this week’s rotation) and met up with my brother, his wife, and their friends for a relaxing weekend in a huge cabin in Big Bear. We cooked dinners together, played pool and pingpong, went shopping (I got a gorgeous yellow infinity scarf and a cute creme colored summer top), the boys went fishing, took naps, chatted…it was awesome. A wonderful way to kick off my break by forcing me to just be still. At home on a usual weekend, I’m running around trying to get everything I can’t get done in the work week done—ie laundry, house work, meal prep,etc. 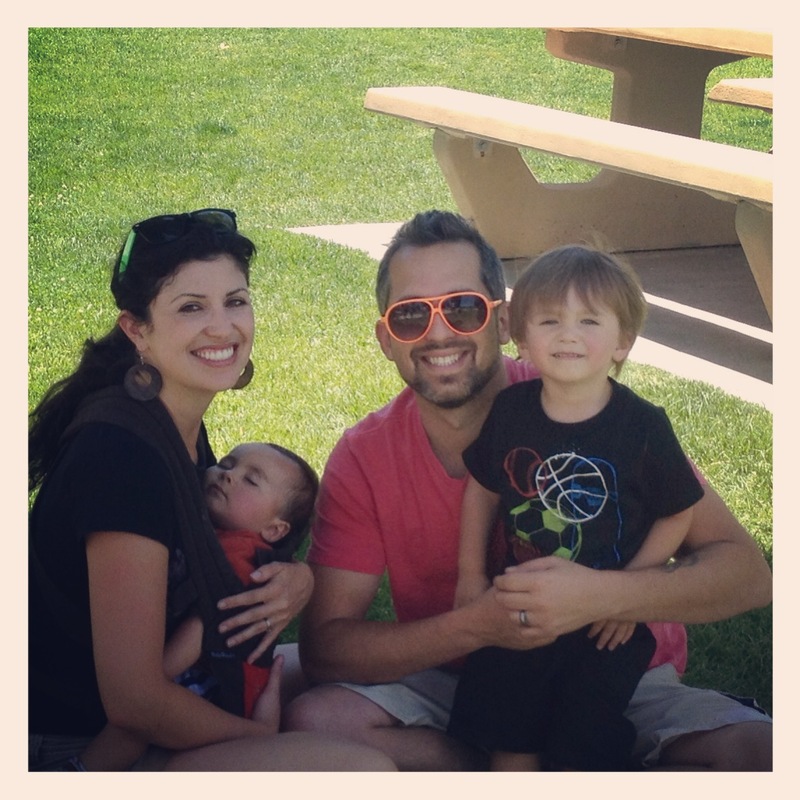 I felt like I really grew closer to my brother and his wife, and fell absolutelyl in love with their friends. Just good people. And as an added blessing, our son Jameson, who is 2, and my brother’s son Peyton, who is almost 3, had an absolute blast together! They were two peas. It was so sweet. I grew up close with my cousins and really want that same experience for my kids and their cousins. This was such a moment. 🙂 I also got to take a break from my coffee boycott and enjoy coffee all weekend, with that yummy vanilla cremer. Oh and bittersweet moment here, but needs to be noted–Benjamin decided this weekend in Big Bear that he didn’t care for breastfeeding anymore. He decided to tell me by biting me in a final session before absolutely refusing any other session thereafter! The rest of this week will be marked with my own withdrawals from the special moments as well as physically havign to adjust (He cut me off cold turkey! My body is freaking out!) And third–feeling excited about the multivitamin I have been wanting to take but haven’t been able to because it has all these herbs in it that could affect Benny Boo, the juice detox now in my near future, and the DHEA I have been wanting to take to get my adrenals back in gear (I’ve been depleted for too long and have blood work to prove it. Can’t wait to see the results–energy, better mood, and a whole bunch of other positive effects that I have missed because they are so shot (Thanks to career, coffee, and kids…haha). Monday, June 10th— Got to spend the whole day organizing my classroom for the Fall. Last year, I didn’t get a chance because I had just had Benjamin, so I started the Fall late and completely unorganized. This followed me the rest of the year. Not this Fall. I am organized, baby! And in a new room, which will be installed with a Smartboard and a class set of Chromebooks! See ya later, paper! Tuesday, June 11th—1)Took a three hour nap on the couch in the afternoon while the babies napped. 2)Took both babies individually out for a bikeride. They loved sitting in the Weeride seat (sits in front, between rider’s legs) and were all smiles for the ride. 3)Went shopping with my hubbies and the babies—groceries, a fishing pole for owen, a tricycle for JJ, and a helmet for Benjamin (who looked adorable in it, btw). Wednesday, June 12th— 1)Went to Kanan’s last day of school family picnic and watched him run around with his friends as Jameson followed, while I chatted with another mom named Amery, who moved her from South Africa. 2)Filmed a commercial for a local Party Supplier with my hubby at the studio. 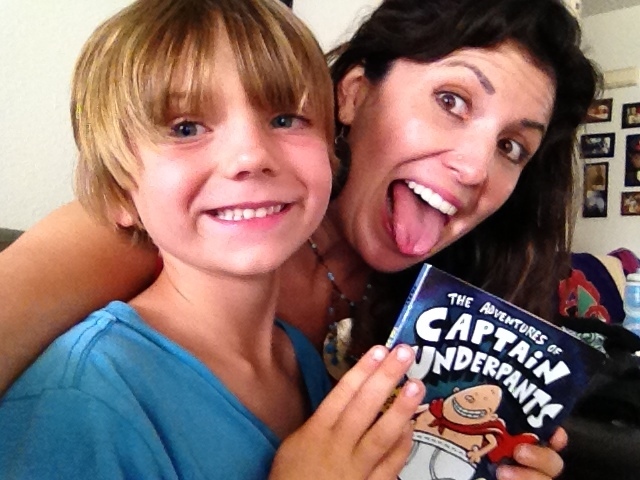 3) Read the first 2 chapters of Captain Underpants (the first book) with Kanan as the babies napped. 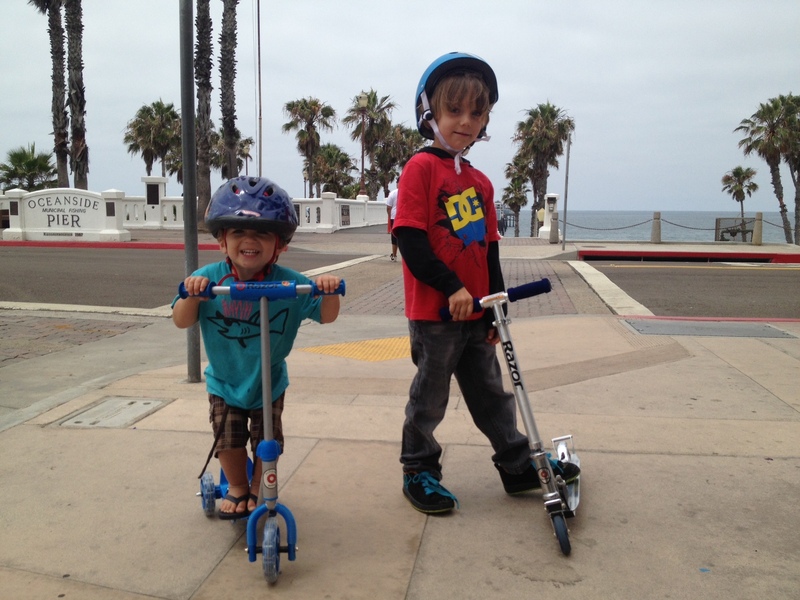 JJ and Kanan stopping their skooter session so Mom could take a picture. JJ was so excited! Thursday, June 13th— 1) Went to the Oceanside Farmer’s market and sampled yummy foods with the boys. Then watched them skooter around together. Jameson was so happy and excited. It was the first time I really saw Jameson as a little boy and not a baby. So precious. He is so good on his skooter too for just getting it–a real natural. Who would think he is just barely two years old? Kanan of course, is a natural. 2) played with Benjamin while JJ napped and witnesed Benjamin get the wooden rings onto the stick for the first time (What is that toy called?). 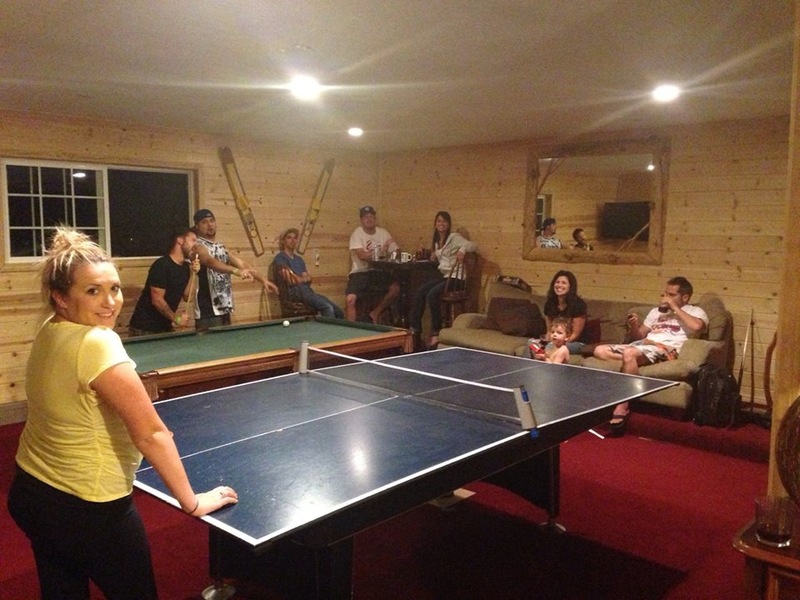 3)Enjoyed great fellowship and bible study with our fellowship group that night–heard awesome news too. Our friends, the Davis’s, finally sold their business. 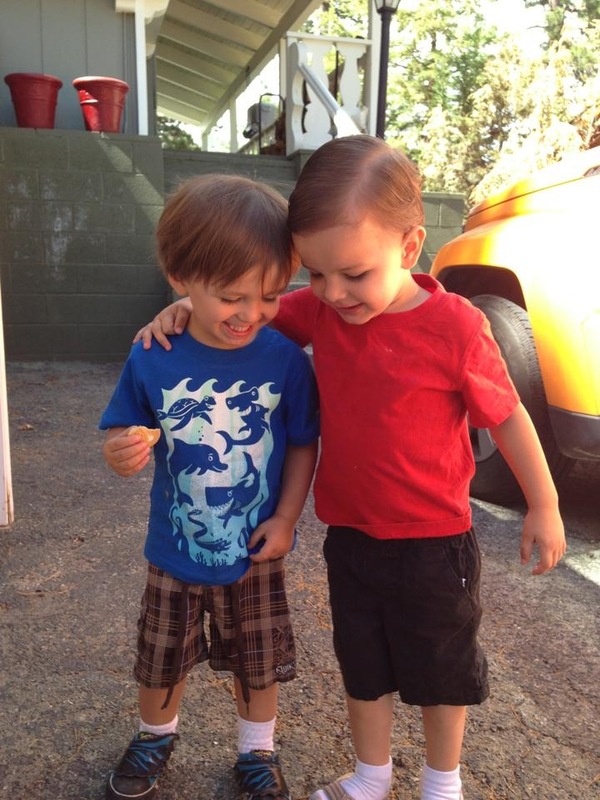 Friday, June 14th–Took the boys to Grandma Linda’s to go swimming and visit a little. I love being able to see them on a whim. JJ loved the water but was afraid to go past the steps with just his life jacket on. But he had a blast on the steps and Kanan had a good time dog paddling around the pool. Today, Benjamin also said “Dada” AND “Mama” for the first time! He said “Dada” when excited to be home with Owen in the living room. And he said “Mama” when he was upset about being put down and wanted me to pick him back up.